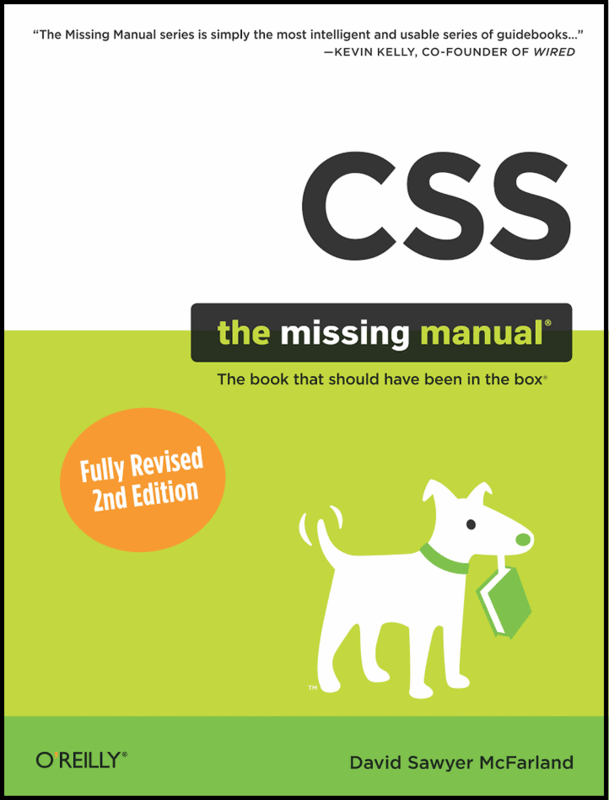 Gradually, over the years, the style of writing HTML has changed (duh ... I guess)—even I've noticed the shift to copious use of <div> to provide structure in a document when the traditional habit of co-opting semantic HTML tags for purposes other than their original intent started to lose favour. I guess I didn't try hard enough to dig into the nub of it at the time, but I could never quite understand why the precise purpose of <div> wasn't expanded on—it was just used and there was this tacit understanding that there was universal understanding (if you'll forgive me for indulging in some silly wordplay). 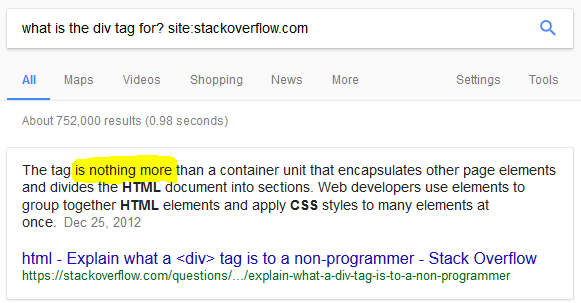 The <div> and <span> tags have been around for much of the life of the Web. They’ve traditionally been used to organize and group content that doesn’t quite lend itself to other HTML tags. Think of them as like empty vessels that you fill with content. In my defense though, The Programmers Oracle has only been around since 2008, before then, one would have to resort to dodgy sites like expertsexchange to find answers which weren't a patch on SO. The div  element has no special meaning at all. It represents its children. That puts pay to that, I guess—it's an element that is just there to attach “other stuff” (that is, CSS “stuff”) to its children. Q: What's all the fuss about? A: There is no fuss. Storm in a teacup. Nothing to see here; move right along.